How to Make a Great Impression on a Telemarketing Call. A simple question perhaps but, one that nonetheless, seems to be lost on many telemarketers. Too often they blather on about stuff that they think may be relevant but, ultimately, isn’t. Frequently, their intro centres on what they do and offer, forgetting that the prospect doesn’t actually care for the most part. So, why should prospects buy from you? Why should prospects buy ‘you’? Perhaps a more relevant question should be ‘why should prospects buy you?’ The reason for that subtle change is that people still buy people and you won’t win friends and influence people if you’re not nice and interesting to talk to, listen to and be with. Any personal interaction between buyer and seller that happens other than online, starts with a dialogue. That could be face to face or over the phone. And, until the prospect likes you and is interested in what you say, you’ve got no chance of progressing to the next phase of a sale. Sounds a bit simplistic perhaps but, in life and business, you don’t have long to make your mark. We’re all busy and have our own priorities and preoccupations. So, mostly, your telemarketing call is an interruption. Hence, you’d better make it worthwhile. According to this article from the association for psychological science, a series of experiments by Princeton psychologists Janine Willis and Alexander Todorov reveal ed that all it takes is a tenth of a second to form an impression of a stranger from their face. And, we don’t tend to change our mind. Those initial seconds are important when you meet someone and when you chat on the phone.Add to the melting pot that we’re talking about a cold call here and we have a recipe for disaster if you don’t get it right early on. Is it chemical or is there something else going on? Of course, for some prospect, you’re on a road to nowhere before you start. They won’t engage come what may and you have to accept that no matter what you try. They may be under pressure for all manner of reasons. Of course, you need to objection handle and handle inevitable rejection. However, in some instances, the best thing you can do there is to retreat positively and quickly but try to gain a better time to call. But, what about those that are on the fence? These are the guys with whom you need to engage. Know your stuff – The more you know about what your products do and the benefits to a customer, the more likely you will be to hit the spot. Smile while you dial – It’s an over-used expression but, who likes to speak to people that are dull, display no interest and that are uninteresting? Without going mad, you need to be positive and upbeat if you want to convince people to engage with you. Mirror tone – You can tell a lot from the tone of someone that answers the phone. The quicker you pick up on that, the more you can attune your approach to theirs. If they sound harassed, back off. If they’re having fun, join in. Work on your sincerity– Sounds a strange one but, all too often, salespeople come across as pushy and self-interested rather than open and interested in the customer. Make your intro compelling – You have so little time, you can’t waste it. So, really work hard on your intro. What would you like to hear if you were in their shoes? Ask a good question – Questions provide information, display interest and shut you up, all of which are positive things in a sales call. Therefore, identify a good question to follow your opening intro. Listen to what they say? Sounds logical but, too frequently, salespeople jump in and talk at prospects. Spent time at the start, after your intro, listening to the response. Be clear – Unclear intros and garbled messages do not help. The more succinct you can be about your intentions the better. Time is valuable. 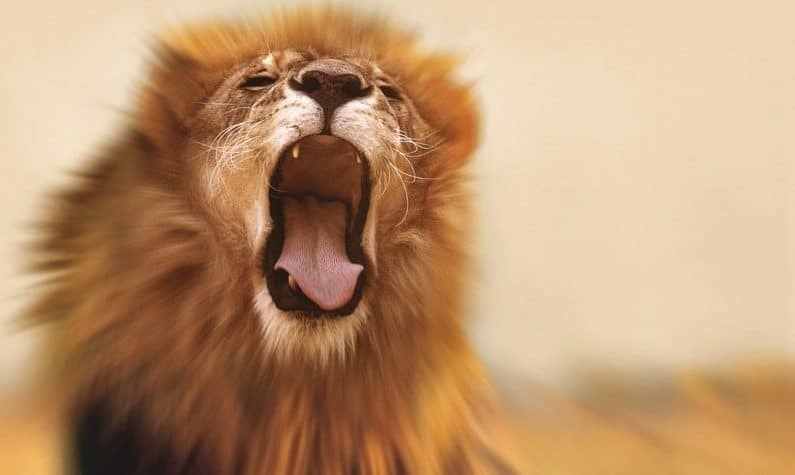 Act like a lion, not a mouse – People gravitate to positive individuals and away from those that are insipid. You won’t convince anyone if they can barely hear what you say. That doesn’t mean bite their head off with your arrogance, simply display a positive demeanour from the start.